GSM Room Transmitter is ideal for listening to a room conversation from far away. Imagine calling a cell phone that automatically picks up, allowing you to listen to people speaking inside a room or vehicle. Now try imagining that the cell phone does not ring or announce that you are calling, and that instead of a phone, you are calling a little black box. Our GSM room transmitter is that black box, allowing you to monitor people speaking. This unique listening device lets you conduct audio surveillance without anyone knowing. 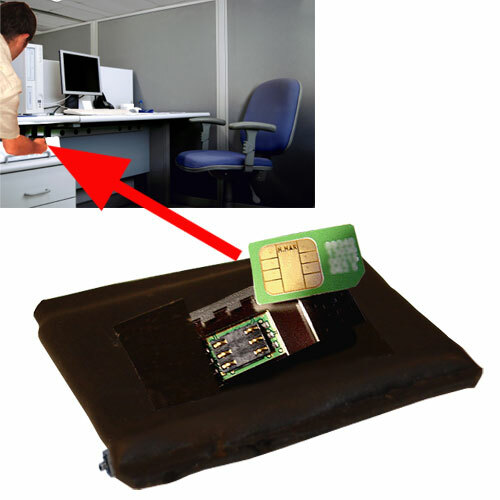 where do our GSM room bugs operate ? Our GSM listening devices work anywhere on the GSM network. How far away can your target (s) be from the GSM room transmitter? Under ideal conditions, the answer is 9 meters, but the clearest audio surveillance gathering we suggest takes place at 5 - 7 meters away. How do I power the GSM Room Transmitter? Because there are so many electrical power standards in the world, we designed the GSM Room Transmitter to be able to be powered using a battery pack of 4 AAA batteries.